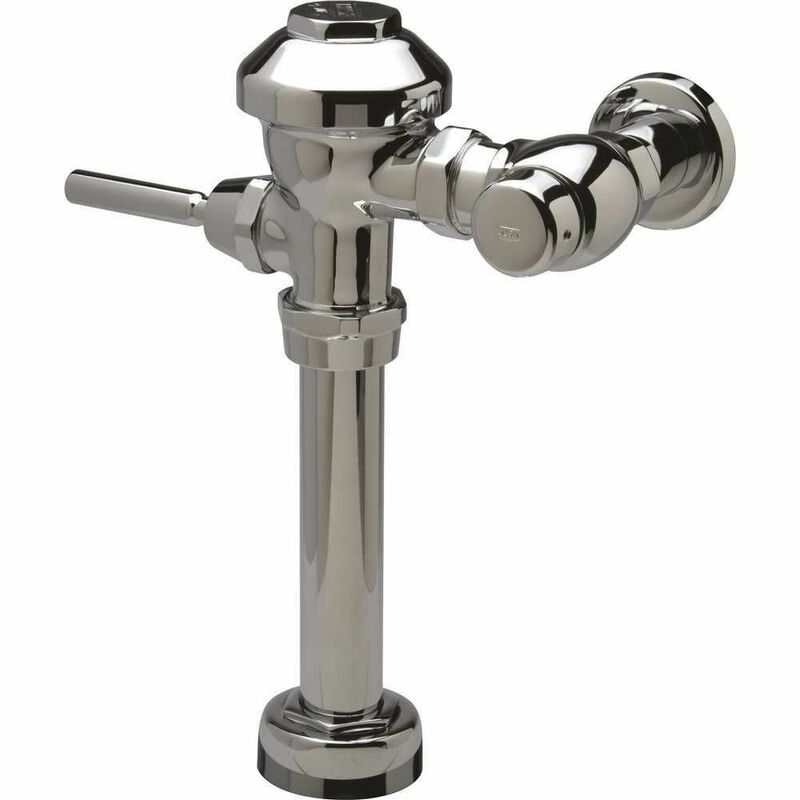 Zurn's Exposed Flush Valves are a quiet diaphragm-type, polished chrome plated flush valve. Complete with Zurn's AquaVantage TPE, chloramine resistant, dual seal diaphragm with a clog resistant, triple filtered by-pass. The valve is ADA compliant with a non-hold open and no leak handle feature, high back pressure vacuum breaker, one piece hex coupling nut, adjustable tailpiece, spud coupling and flange for either top or back spud connection. Control stop has an internal siphon-guard protection, vandal resistant stop cap, sweat solder kit, and a cast wall flange with set screw. Internal seals are made of chloramine resistant materials. Replacement for American Standard Flush Valve Ref #47107.007A with Bolt Down Kit for Blind hole . JAG Plumbing Products strives to bring customers the best products in Canada and make them available on the best online shopping platform: Homedepot.ca - Owned and Operated in Ajax, Ontario, Canada, JAG PLUMBING prides itself on offering Home Depot Customers durable, high quality, non OEM replacement plumbing parts. Reliable piston technology delivers consistent performance and accurate discharge across a full range of incoming water pressures. Aquavantage Exposed Closet Flush Valve Zurn's Exposed Flush Valves are a quiet diaphragm-type, polished chrome plated flush valve. Complete with Zurn's AquaVantage TPE, chloramine resistant, dual seal diaphragm with a clog resistant, triple filtered by-pass. The valve is ADA compliant with a non-hold open and no leak handle feature, high back pressure vacuum breaker, one piece hex coupling nut, adjustable tailpiece, spud coupling and flange for either top or back spud connection. Control stop has an internal siphon-guard protection, vandal resistant stop cap, sweat solder kit, and a cast wall flange with set screw. Internal seals are made of chloramine resistant materials.